A diabetes-friendly diet isn’t a special diet but a smarter diet… and with 1 in 3 Americans living with diabetes or on the brink of it, it is timelier than ever! Purposeful: Are You a Manager or a Movement Starter? (Portfolio, May 22, 2018) is a new book by Jennifer Dulski, head of Groups and Community at Facebook. An accomplished thought and business leader with more than 18 years of experience in successful startups and big-brand internet companies, Dulski writes about leadership, management and entrepreneurship for LinkedIn Influencers, Fortune and more. In her first book, Dulski combines her own experience with stories of other inspiring leaders to show how we all have the power to start movements that matter. In a time when our world needs change more than ever, she shares how each of us can learn the leadership skills necessary to rally people around a common purpose, whether we are activists or entrepreneurs. Packed with practical advice and inspiring examples, Purposeful will empower anyone at any stage to start their own movement that matters and truly make their mark on the world. For more information, visit https://www.purposefulbook.com. 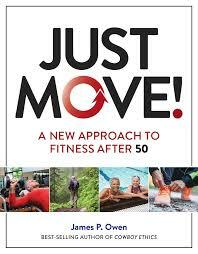 Created by 77-year-old inspirational speaker and former Wall Street rainmaker James P. Owen (author of the bestselling favorites Cowboy Ethics, Cowboy Values and The Try), Just Move: A New Approach to Fitness After 50 (National Geographic, September 12, 2017) is a realistic fitness guide that puts the reader in charge as it inspires, empowers and informs without overwhelming, providing a flexible, step-by-step program readers can tailor to their own specific needs. The book was named one of the 6 best books about healthy aging for 2017 by The Wall Street Journal. From the creator of the Pussyhat Project comes a manifesto for every woman to create her own distinct and original path to joy, success, and impact. On January 21, 2017, millions of protestors took part in the Women’s March, creating a “sea of pink” when they wore knitted pink “pussyhats” in record numbers. Krista Suh spent years letting her fears stop her from learning to live by her own rules. 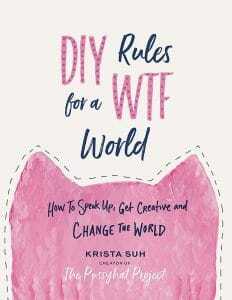 Now in DIY Rules for a WTF World, she shares the tools, tips, experiences, “rules,” and knitting patterns she uses to get creative, get bold, and change the world. Be inspired and create your own rules for living, and even a movement of your own, all with gusto, purpose, and joy. 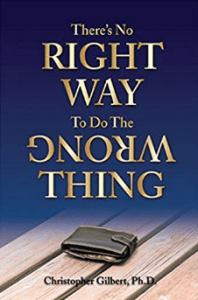 There’s No Right Way To Do the Wrong Thing By Christopher Gilbert, Ph.D.
Is there really a solid line between right and wrong? If there is, is it ever okay to cross it? 2.7 million Americans die every year, 1.2 million from cancer or heart disease, according to a recent report by the CDC. Many more are battling life-threatening conditions. Far too many people die in hospitals, in pain, isolated from their friends and families. Although 90% of those on Medicare say they want end-of-life care at home, only one-third achieve it according to a study in the Journal of American Medicine. 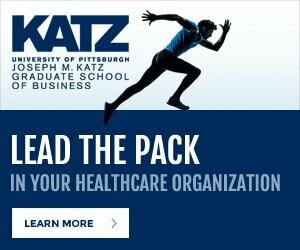 In fact, twenty-five percent of all Medicare spending is for patients who are in their final year of life, most of that money spent in their last couple of months for care which is often of little apparent benefit. 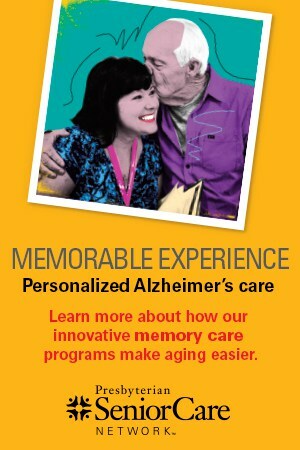 But when author Susan Ducharme Hoben’s husband was facing terminal cancer, they made a decision to savor every fleeting moment by spending the time he had left doing things he loved, surrounded by his family and friends. She chronicles this journey in her new memoir, Dying Well: Our Journey of Love and Loss (March 2018). Part love story, part “how to”, part inspirational retelling of their nine-month journey from diagnosis, Dying Well takes readers through celebrations, sadness and, ultimately, a peaceful death free of fear and regret. Cherie Calbom (www.juiceladycherie.com), the best-selling author of The Juice Lady’s Big Book of Juices and Green Smoothies, is back with a new book that promises to leave readers happy, healthy and 10 pounds lighter. Sipping Skinny: Drink Away the Pounds incorporates recipes for juices, smoothies, and soups with advice to get to the root of weight gain. Sipping Skinny: Drink Away the Pounds answers all questions readers may have about a juicing diet. Cherie Calbom caters to those who have tried every diet known to man with no success. Her philosophy is to get to the root of why you’re gaining weight, and more importantly having trouble losing weight. Cherie is a TV chef and celebrity nutritionist who has been featured in national publications such as Woman’s World and the Los Angeles Times. Calbom helped pioneer the fresh-juice movement around the world. In the forthcoming, Engagement Fundraising: How to Raise More Money for Less in the 21st Century (September 2018), Greg Warner, CEO of MarketSmart, reveals the disruptive modernization that is helping fundraisers raise more money for their organization’s missions. 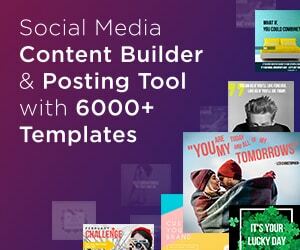 With low-cost and even free options (like this tool), Warner’s strategies embrace rather than resist the changes in communication and society brought on by technology and shifting attitudes/expectations among donors. This year 23,000 kids will age out of the foster care system and group homes across America and need a fighting chance to succeed. From that day when Steve Pemberton was five-years-old and dropped off at his foster home of the next eleven years, his days were filled with loneliness, fear and uncertainty with nobody to help him out. Along the way, through small acts of kindness from a neighbor that fortuitously included a box of books, Steve decided to fight the battle to realize and overcome his situation by exceling in school and obtaining a full scholarship. 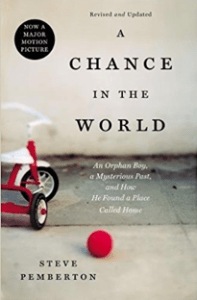 In the revised and expanded edition of his top-selling autobiography, “A Chance in the World: An Orphan Boy, a Mysterious Past, and How He Found a Place Called Home” (Thomas Nelson, Paperback), Steve’s story is a heart-wrenching, but uplifting, story of a young man’s determination to move forward in life that inspires us all to reflect on the current situation in the American Foster Care system. Simultaneously, it showcases a tale of the human spirit’s ability to find hope, strength and forgiveness in the darkest of times, which readers are often moved to share with their family, friends, and neighbors. Elevate is the definitive “if I knew then what I know now” book that provides a lifetime of “A-ha” moments to readers at any stage of life, especially graduates. Written by founder and chairman of the largest private broker/dealer in the U.S., Deitch distills life’s greatest questions into 5 key insights and 10 essential skills. By connecting awareness and action, Elevate goes beyond other motivational and success titles and lays out the roadmap for anyone looking to achieve the next level and how to get there. Why we need Colonial Williamsburg as a concrete connection to our roots and foundation of our country. The topic of government regulations has been widely discussed among Americans, due to recent events, and where the line is, between personal freedom and the public well-being. In “Get the HECK Out of Our Way! : Examples of Government Regulations that are Eroding Our Freedoms, Holding Back the Economy, and Costing Us Money and What We can Do About It,” author Dale W. Cox provides examples of how governmental overreach is stifling personal and business freedom, while contributing to inflation and holding back economic growth.Cox is an entrepreneur and business owner in North Carolina. A food scientist by trade, he has worked with some of the largest food companies in the world, including General Mills and Kraft/Nabisco. American culture has engrained in us the lifetime 40-40 plan – working 40 hours a week for 40 years. On paper, the formula appears sound: save a portion of our income, invest it for retirement, then go enjoy it. Only that traditional plan often doesn’t work anymore. Many people today aren’t enjoying a financially secure retirement. Further, as studies show, many never enjoyed their job in the first place or felt they ever had job security. In 5 Day Weekend: Freedom to Make Your Life and Work Rich with Purpose, authors Nik Halik and Garrett B. Gunderson lay out a manifesto that can liberate the typical worker. They provide the tools to literally live a life full of 5 day weekends, connecting true financial independence with a commitment to personal freedom. Garrett B. Gunderson is the author of the New York Times bestseller Killing Sacred Cows: Overcoming the Financial Myths That Are Destroying Your Prosperity. He’s the founder of an Inc. 500 financial firm and a Forbes contributor. Nik Halik is a entrepreneur, adventurer, investor and speaker. He has dived to the wreck of the Titanic, climbed some of the world’s highest peaks and is a certified Russian cosmonaut. You can find out more about their book below. 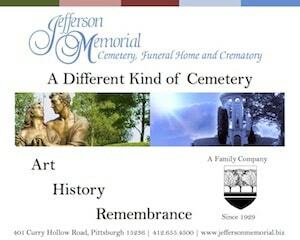 Let me know if you are interested in reviewing it. I look forward to hearing from you! • Build a freedom lifestyle over the mythical security of a 9-5 job. • Create multiple streams of independent income. • Have a system for debt reduction, starting with the best way to pay off loans. • Capture wealth through fundamental, consistent habits. • Find the best ways to invest and see why conventional investments can’t deliver. • Keep pushing their boundaries to escape the ordinary life. As college grads of the class of 2018 prepare to take the first steps of their career paths, a word of warning: don’t accept your first job offer. You may be stepping into a dangerous company culture. Corporate culture expert and entrepreneur Piyush Patel has five tips for new grads to spot a toxic company before accepting the offer. Snce ancient Egypt and Greece, people have relied on dreaming to diagnose illness and get answers to personal life challenges. Step back into the future with these true, modern stories of Dreams That Can Save Your Life. Dreams are making a grand reappearance in the medical arena as recent scientific research and medical pathology reports validate the diagnostic abilities of precognitive dreams. 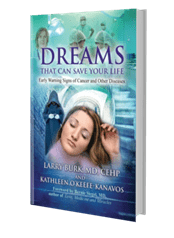 Co-authors Kathleen O’Keefe-Kanavos and Dr. Larry Burk, the co-founder of Duke Integrative Medicine in Durham, NC and current consulting associate in radiology at Duke Hospital, explore medical studies on the diagnostic power of precognitive dreams, including Dr. Burk’s own research, and share multiple detailed stories—all confirmed by pathology reports—from subjects whose dreams diagnosed illness and helped save their lives. Those stories include O’Keefe-Kanavos’ own story as a three-time breast cancer survivor whose dreams diagnosed tumors missed by her doctors. Alongside these stories of survival and faith, the authors provide an introduction to dream journaling and interpretation, helping the reader to develop trust in their dreams as a source of healing and inner guidance. Available April 17th wherever books and eBooks are sold or through Findhorn Press and Amazon. Eating Yourself Sick By Joseph Galati, M.D. Joseph Galati, M.D. is a hepatologist with more than 25 years of experience treating patients with acute and chronic liver disease, as well as disorders of the digestive tract. His book, Eating Yourself Sick, educates readers on the dangers of our current grab-and-go meal culture, and its effects on our long-term health and well being. 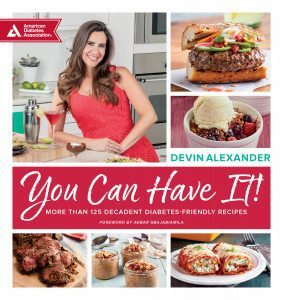 This book, which is on shelves now and ready for your review, breaks down the health consequences of today’s typical diet of high sugar and processed foods, providing the reader with tips on how they can reverse the damage and take control of their own health. Eating Yourself Sick combines Dr. Galati’s decades of medical experience, with stories of his upbringing in New York with an Italian mother who loved to cook, and taught her children to do the same. It’s his belief that the obesity epidemic, and the resulting health crisis its sparked, can be directly linked to a breakdown in our familial culture. Families don’t cook together anymore! It’s lead to a society where we are looking for quick and easy meals, that are not nutritious and are instead packed with calories, sugar and other health hazards. In Eating Yourself Sick, Dr. Galati lays out the problem, and gives a step-by-step guide for stopping and reversing America’s obesity epidemic. There is a narrow perception of the value of Compliance to an organization, and a misunderstanding of the inherent conflicts of interest Compliance officers wrestle with daily. Triple Bottom-Line Compliance shows you—the Compliance officer—how to deliver protection, productivity, and impact in your organization. It shares strategies for delivering a new type of Compliance system that not only defends and protects an organization, but also proactively helps it perform better. A Compliance officer is not just protecting the organization and mitigating regulatory risk as a gatekeeper, but is also helping the organization realize its full value—whether it’s measured in profitability, growth, stability, credibility, or fulfillment of its mission. In this book, author Beth Haddock will teach you how to focus on business interests, behavioral incentives, and the importance of relationships in order to both sustain and grow and your organization. Betty Ng is the founder and CEO of Inspiring Diversity LLC (iD) and a former Senior Vice President of Corporate Development with more than 20 years of experience in the financial field. Her mother, Po-Ling Ng, is the assistant executive director of the Chinese-American Planning Council and a prior president as well as a vice-president of Manhattan’s School Board District. Their book, Po-Ling Power: Propelling Yourself and Others to Success, tells their inspiring life stories and journeys to success. Though the mother and daughter duo have lead very different career and life paths, both have shared a common approach to gaining success and lifting up others at the same time. Adam Witty and Rusty Shelton say that authority marketing isn’t about ego or grabbing attention for yourself. It’s about accelerating the speed of trust so you are viewed not just as a someone with something to sell, but as a thought leader with important insight to teach. What authority marketing is and how to use it to grow your business. The 7 Pillars of authority marketing. How others have used authority marketing to create unimaginable success. Why thought leadership is your most important secret weapon. The Business Owner’s Definitive Guide to Captive Insurance Companies By Peter J. Strauss, J.D., LL.M. If you’re like most business owners, you probably pay an insurance company to cover the risks of your business. 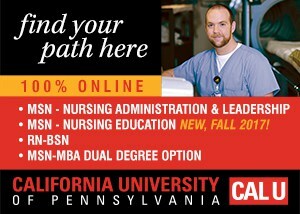 You may not even know there’s another option. What if you could insure the risks of your business, reduce your out-of-pocket expenses, and create another source of revenue? Sounds too good to be true, right? With The Business Owner’s Definitive Guide to Captive Insurance Companies, Peter J. Strauss shows that, by utilizing a captive insurance company, this is not only possible but also a lot easier than you’d imagine. As one of America’s top corporate, tax, and risk management attorneys, Strauss provides readers with true insight on the key sophisticated planning techniques used by small business owners who implement captive insurance companies. Readers will learn the fundamentals and history of captive insurance and how this technique can provide numerous benefits to your business. • select the appropriate manager for your captive insurance company. A survivor of the Cambodian civil war and one-time friend of American presidents and senators, Ted Ngoy is a savvy businessman who changed the face of two countries and brought hope to his people. In his new memoir, The Donut King: The Rags to Riches Story of a Poor Immigrant Who Changed the World, Ngoy shares his fascinating rise and fall—not one, but three separate times. Ali on Ali will give you the fascinating context to the words of the man Sports Illustrated called the greatest athlete of the twentieth century from the perspective of his daughter Hana Ali, with sportswriter Danny Peary. Filled with seventy snapshots that span the entire life of the Greatest of All Time from iconic fight images to never-before-seen Ali family photographs—ALI ON ALI gives readers an intimate glimpse into the life of a man that President Obama called “bigger, brighter, more original and influential than just about anyone of his era.” Alongside these gorgeous images are quotes from the likes of Martin Luther King Jr., Serena Williams, Maya Angelou, and Billy Crystal that make clear Ali’s impact beyond the sports world as an integral figure in American history. 50 Tot-ally Awesome Recipes from Totchos to Sweet Po-tot-o Pie is a quirky single-subject cookbook about these little balls of heavenly potato magic that 3.5 million Americans devoured last year. They’re crispy on the outside, tender on the inside; it’s no surprise tots have been so popular for so long. Now with TOTS! home cooks can take their tot obsession to the next level, with a cookbook devoted entirely to this classic American comfort food featuring more than 50 recipes for making fun, delicious, and over-the-top meals with tater tots. Author Dan Whalen is the culinary mad-genius founder of the popular recipe blog The Food in My Beard and creator of over a thousand recipes. His most popular one, a video of a Quesadilla Bun Burger, has been viewed 24 million times! He’s also the winner of Food Network’s Guy’s Grocery Games’ “Battle of the Food Blogger ”episode. The bond between a father and son can be just a special and unique as it is tumultuous and challenging. Add in a father whose attitude varies dependent upon the outcome of his pro-football career — especially on Sundays — and the dynamic becomes all the more chaotic. This is the foundation for the story of Michael McCormack and his father in his April 2018 release, Born Fanatic: My Life in the Grip of the NFL. From his first breath, McCormack’s life was football. As the oldest son of the world champion Cleveland Brown, former head coach to the Eagles, Seahawks and Panthers, and NFL Hall of Famer with whom he shares the same name, McCormack has watched literally from the sidelines as his father’s career would make or break more than six hundred Sundays in his life. And these Sunday games just scratched the surface as McCormack began a lifelong journey as a ‘born fanatic’ in the cauldron of professional football. No ordinary football memoir, in McCormack’s Born Fanatic, he offers a glimpse into his unique experience with football fanaticism, leaving fans and readers alike both nodding with understanding and surprised by his insights into one of America’s most beloved pastimes. Few individuals have learned about pro football from the classroom of life the way McCormack has and through his storytelling — woven with research and insights from his “insider perspective” — readers are given a deep look into what makes football fanatics tick and inspires them to meet the challenge of recovering the most important thing about pro football before it’s too late. High-tech devices, online apps, and social networks are now essential communications tools for businesses and brands of every size – but what does an organization need to know to effectively connect with and engage today’s customer? And what vital rules should working professionals be following when sharing information online, job hunting, or interacting in tomorrow’s workplace with colleagues, clients, and potential employers? Readers will find answers to these and other pressing concerns in THE BUSINESS ETIQUETTE BIBLE (AKeynoteSpeaker.com/Business) – the definitive guide to effectively communicating on the job and engaging audiences in an increasingly digital and globalized world. A groundbreaking guide to modern manners and successfully executing digital, online, influencer, and social media marketing campaigns, The Business Etiquette Bible, out March 6 from bestselling author, keynote speaker and trends expert Scott Steinberg shows you how to lead, succeed, and build powerful business relationships in the 21st century – an age of 24/7 online connectivity. Revealing groundbreaking new rules for personal and corporate communications in a world where technology has utterly transformed our interactions, The Business Etiquette Bible provides best practices for communicating and successfully achieving one’s goals in an era where our online presence and profile often defines us, and a single status update can fundamentally alter the course of a company or career. Nearly two million Americans undergo elective orthopedic surgery each year. 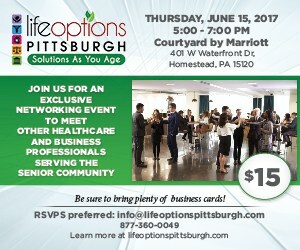 And the numbers keep growing―hip replacements are projected to double over the next fifteen years and knee replacements will quadruple. 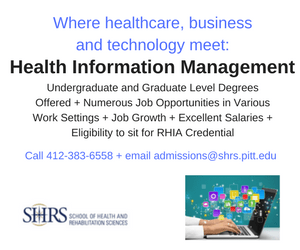 You’ll also learn the difference between a physical therapist and an occupational therapist; be ready for that first session; and find out the advantages of home therapy, subacute rehab, and outpatient therapy. If you have been suffering from chronic pain in the shoulder, knee, or hip, joint replacement can offer a second chance at restoring the life you desire. An Insider’s Guide to Orthopedic Surgery will help you get ready for it. Fear. 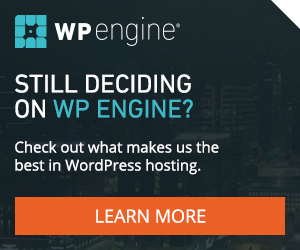 We’re hardwired for it. It can be a good gift, intended to protect us from harm. Much of the time our fear is exaggerated, misguided or aimed at that which we need not fear. Fear can cripple us, rob us of life and leave us emotionally paralyzed. Others can use fear to manipulate us. Unbridled fear can lead to hate. Today in America, if there is one thing we can agree on, it’s that we are all afraid. Afraid of the future, and of the uncertain, in both our personal lives and the world at large; there’s truly no shortage of fear. It doesn’t have to control us, says Adam Hamilton in his new book UNAFRAID: LIVING WITH COURAGE AND HOPE IN UNCERTAIN TIMES (Convergent; hardcover; 3/13/18; $24.00). Over the last 18 months, Hamilton studied fear, how it affects us, and what the experts in the areas of neuroscience, psychiatry, sociology and psychology teach about fear and how to overcome it. He wanted to see how ordinary people live unafraid, with courage and hope. And this book is the result of that. Hamilton has seen the climate of fear up close as the senior pastor of a diverse and thriving 20,000-member congregation. At present, the Church of the Resurrection in Kansas City is the largest Methodist church in the country, and it has been cited as one of America’s most influential churches. In his thirty years shepherding the congregation, Hamilton has become deeply involved with their struggles with fears of failure, irrelevance, finances, death, and illness—even FOMO—to name a few. He’s walked them through economic downturns, three wars, terrorist attacks, countless personal tragedies, and, most recently, the current political divide, a topic he spoke about earlier last year with Robert Siegel of NPR’s All Things Considered. 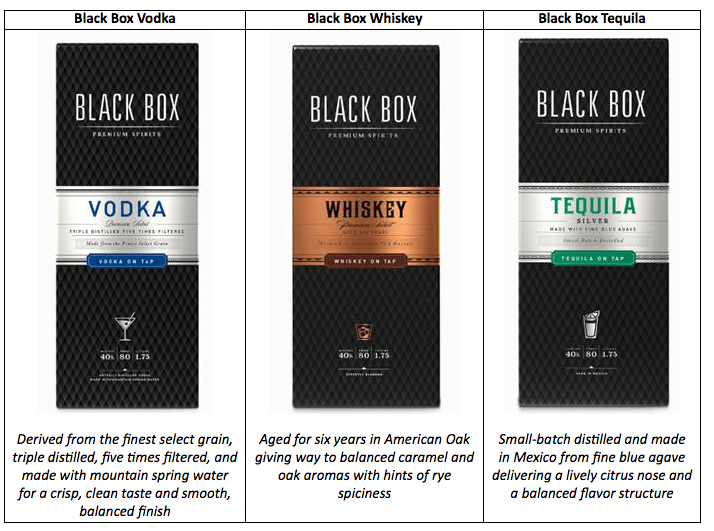 Black Box Spirits is an innovative new premium spirits portfolio inclusive of Vodka, Whiskey, and Tequila on-tap. Attractively priced and housed in Black Box’s signature packaging, Black Box Spirits come ready to pour in a sophisticated 1.75L box that is portable, shatterproof and 20% less expensive than comparable bottled spirits. Combining convenience, great taste, and portability, Black Box Spirits provides the ultimate entertaining options for all your needs – designed for every day occasions. Black Box Spirits on tap can be sipped neat or mixed into a cocktail for easy enjoyment with exceptional quality and flavor. The eco-friendly box with easy-to-use spout allows you to conveniently store Black Box Spirits in your fridge or freezer, or take you glasses can’t go – boating, tailgates, beaches, pool parties, etc. Whether you’re someone who loathes even the idea of the gym or you’re a CrossFit connoisseur, it’s no secret that staying active is a very important part of staying healthy and happy. But what if we could make your workout a little less painful (both mentally and physically)? Prep and follow-up with a CBD topical: Try a CBD topical product such as HempMeds Active Relief Roll-On. The cooling activity of HempMeds Active Relief Roll-On acts as an alternative to ice for addressing discomfort in muscles and joints. The Active Relief Roll-On combines menthol with carefully chosen botanical ingredients and features 10 mg of hemp extract in each 2.5 fl. oz. roll-on. Tune in to the right terpenes: Not just any joint will give you the energy and momentum you need to push yourself. Try to find strains of marijuana with Limonene terpenes to improve mood and Alpha-Pinene to maximize alertness and energy. 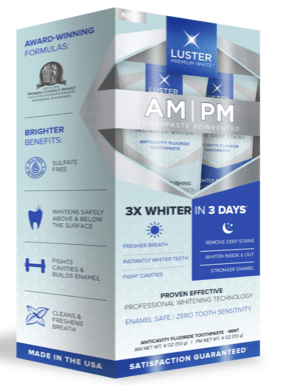 New Luster AM/PM Whitening Toothpaste System is the first and only daily whitening and cleaning toothpaste system designed around morning and nighttime dental hygiene needs. The system includes two toothpastes. Use Luster AM in the morning for instant whitening with just one brushing, fresh breath, and stain protection. At night use Luster PM to remove deep stains, kill bacteria and strengthen enamel while you sleep. Of course, the formulas also contain fluoride to fight cavities. Febreze Air Purifiers are the perfect gift for the recent grad in your life. With scent cartridges like Linen & Sky and Spring & Renewal, this is the best addition to the recent grad’s new door room – who you know is going to need help keeping their college dorm fresh and clean! And for the future college student in your life, Febreze Air Purifiers capture airborne particles from blankets, pets, HVAC systems, and more BEFORE the dust settles – creating fewer dust bunnies and fresher scents all around the house! · Scalp Cleanser and Shave Lotion: for those who want a smooth shave experience without the painful irritation, inflammation or overdrying, this perfectly pH-balanced product can be used on the face or scalp for the ultimate shaving experience. · Oil Purlpose: created to eradicate dryness and replenish your skin and hair’s natural protective barrier. Perfect for use on the moustache and beard to provide shine and luster without weighing down hair collicles or clogging pores. 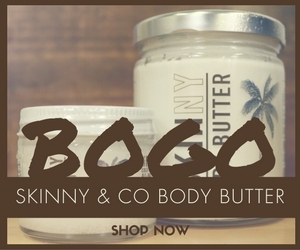 · Sport Culture: this rich, plant-infused, face and body cleanser that packs a powerful 1-2 punch. Infused with 11 botanical extracts that effectively remove dirt and impurities while leaving skin moisturized and refreshed. · Parallel: this 2-in-1 product offers rapid relief from skin irritation caused by shaving, waxing and clogged pores acting as a non-abrasive exfoliant, removing dead skin, rapidly and gently, while reducing the appearance of bumps, dark marks and fine lines. SteelMclean is paraben-free, sulfate-free and cruelty-free. Quality Time Outdoors With Dad: Is your dad a grilling fanatic who loves to spend his summers outside cooking burgers, steaks and hot dogs? Or does he love spending time outside with the family by the fire? Even though he may be a grill/firestarting a pro, there might be room for improvement – especially when it comes to quickly heating up his grill. This year, help Dad ditch the lighter fluid with the new ExtremeStart™ Firestarter from Pine Mountain. weBoost, the industry leader in cellular boosting technology, launched its most powerful in-vehicle cellular signal booster yet for stationary RVs on April 30—Connect RV 65. Compatible with all mobile phones and wireless carriers in the U.S. and Canada, the new booster will allow RVers to enjoy strong call quality, fewer dead zones, and faster data upload/download speeds while parked at a campground or other location.